On Monday, December 3, 2018, Frederick Sinclair James, Jr., father, grandfather, great-grandfather and patriot passed away at the age of 84. Fred was born on March 1, 1934 in Chicago, IL to Fred and Helen (Bent) James. 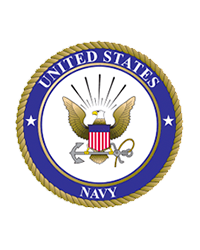 He graduated from the New Trier High School in Winnetka, IL and entered the U.S. Navy where he served from 1953-55 on the USS Lansing during the Korean War. For his distinguished wartime service, he was awarded the National Defense Service Medal. Upon completing his military enlistment, he pursued and established a successful sales career working in the automotive fleet industry in the Florida and Georgia regions. Fred was a sport and outdoors enthusiast, enjoying most of his recreation time on the golf course or boating on Lake Lanier with friends and family. An avid fan of the Florida State Seminoles and the Atlanta Braves, he remained a longtime and faithful supporter of both programs through all seasons. He enjoyed entertaining and was loved by all who knew him for his jovial personality, his mischievous wit, his hearty laugh, and his eagerness to entertain. Fred was preceded in death by his father, Fred Sr., his mother, Helen, and his brother Jack. He is survived by his two children, Vicki Zymowski (David) and Cheryl Smartt (Steve), his six grandchildren, Connor Zymowski, Taylor Zymowski, Sarah Smartt, Chad Smartt (Kaley), Chase Smartt (Courtney), and Christian Smartt (Hannah), his six great-grandchildren, Adelai, Alaina, Avalynn, Walter, Rustin, and Lucas, his brother Robert “Bob” James (Linda), and several cousins, nieces, and nephews. A funeral service will be held on Tuesday, December 11th, 2018 at the Collison Family Funeral Home at 3806 Howell Branch Rd., Winter Park, FL., 32792 at 2 o’clock p.m. Dr. Steve Smartt and Chaplain Dan Wolf will officiate.